You are here: Home / Ideas@Work Blog / Ideas@Work Blog / Why Do the Best B2B Marketing Blogs Often Begin With a Question? Why Do the Best B2B Marketing Blogs Often Begin With a Question? Q: Why do the best B2B Marketing blogs often begin with a question? A: Because questions lead to answers, diverse opinions, and new ideas. 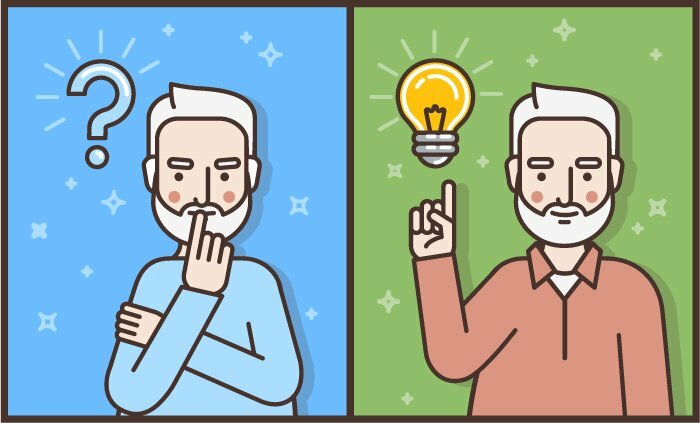 After posting several hundred articles about B2B Marketing topics on our Ideas@Work Blog, we don’t always have a new idea to write about that we haven’t covered before. We certainly have “evergreen” blogs that touch on topics most B2B marketing professionals can find helpful. And we’ve even written multiple posts with advice on repurposing and refreshing older content. I went back through some of our most popular posts looking for any that needed updates to be up-to-date. And I noticed how the “date stamps” on those older posts made them seem like “old news” no matter how evergreen they were.That led to my next question and the primary topic for this article. Should blogs, especially B2B Marketing blogs, have publishing dates on them? Mark Schaefer, Jay Baer, and Marcus Sheridan are well-known authors, keynote speakers, marketing consultants, and prolific bloggers and they DO NOT currently have the date stamps on their blog posts. MarketingProfs, the Content Marketing Institute, and Hubspot are each huge centers of thought leadership and influence with multiple contributors to their blogs, and they DO currently have the publish dates on their blog posts. Like our blog, yours may be in a different league than these examples. And while all these blogs are focused on subjects from content marketing to best SEO practices, you are challenged with creating content specific to your industry and target audience. Not yet feeling like I had the right answer, I googled ‘Should blogs have publishing dates?’ looking for some recent opinions. Ironically, two of the top results were articles published in 2014, and since they were both from recognized sources, I read them, and both recommended including the dates regardless of the obvious risk of the content appearing to be old news. For the most part, it was about providing the best user experience. “Knowing when a post was written doesn’t impact the evergreen nature of a post if the content is still good, the information is still accurate, and the topic is still relevant. As I was considering these answers, I began thinking about how often I will add date ranges or the current year to my search when looking for the most recent and relevant news, opinions, and advice on a particular topic. I hadn’t done that this time and those older posts were still holding their rank. 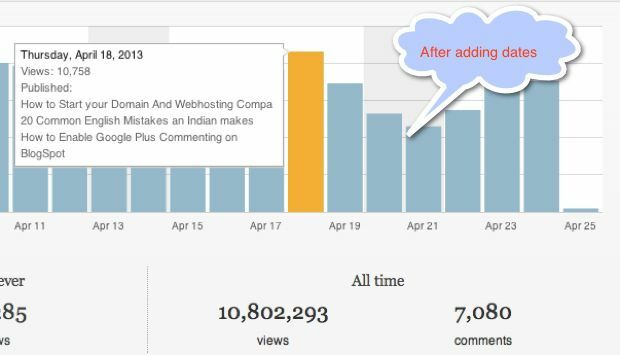 So I modified my search and found this somewhat different and more recent opinion from yet another recognized authority, Harsh Agrawal – Shout Me Loud – Blog for Bloggers from May 30, 2016. The article immediately got my attention because the author had put the question to the test and included the case study. What’s the best advice here? What’s best for your blog? These questions led to my decision to test this for ourselves just as Harsh Agrawal has done. It’s possible that all the other experts had tested for themselves before deciding to date stamp or not. I’ll start testing a new approach with my next blog post and share the results in a future case study. As a B2B marketing agency, we encourage our clients to blog frequently and write on topics their buyer personas will find relevant, interesting, and helpful. I believe that great ideas start with great questions. If you have a question, suggestion, idea, or opinion you would like to share about this article or something else, please leave a comment or give me a call and we’ll discuss it. https://www.mltcreative.com/wp-content/uploads/2017/06/begin-with-a-question.jpg 423 700 Billy Mitchell https://www.mltcreative.com/wp-content/uploads/2013/04/MLT_Creative_logo.png Billy Mitchell2017-06-27 20:27:572017-09-22 14:28:18Why Do the Best B2B Marketing Blogs Often Begin With a Question?